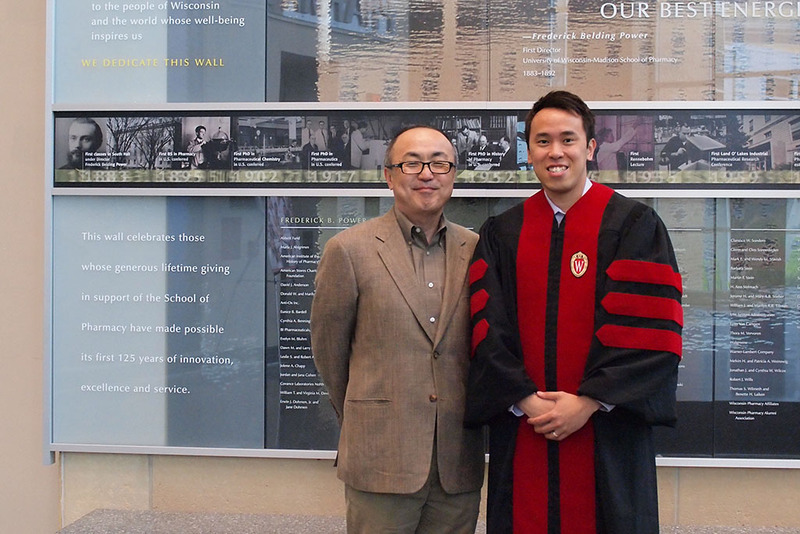 Professor Glen Kwon with former graduate student Tony Tam (PhD '18). This article originally appeared on UW–Madison’s news page. In the treatment of cancer, chemotherapy is a cleaver, not a scalpel. By attacking rapidly dividing cells, chemotherapy effectively fights tumors, but it also ravages healthy cells in the gut, bone marrow, the scalp and other organs, leading to severe side effects. These toxic chemicals save lives, but at a great cost to patient well-being. In an effort to tip the balance toward the upsides of chemotherapy, Glen Kwon, a professor in the University of Wisconsin–Madison School of Pharmacy, is turning to nanoparticles capable of enhancing these drugs’ therapeutic properties. In new work recently published in the journal ACS Nano, Kwon’s lab developed a stabilized form of a common chemotherapy agent, gemcitabine, and encased it in nanoparticles capable of slowing down their release. In mouse models of human lung cancer, the improved drug inhibited tumor growth more effectively than standard gemcitabine. That goal may be some way off, Kwon says, but particles that ferry drugs into the body—known as nanocarriers—are already proving effective. “What nanocarriers can do is reduce toxicity,” he says. Atomic-scale images of gemcitabine-loaded nanoparticles reveal an unusual cylindrical shape. Image courtesy of Tony Tam. In work with his graduate student Tony Tam two years ago, Kwon developed an improved system for delivering the chemotherapy drug paclitaxel, commonly sold as Taxol, during treatment. Tam attached a short chain of lactic acid to the drug, which helped it load into nanocarriers made, in part, of lactic acid. The nanocarrier has been used in humans before. So when turning to gemcitabine, Tam tried the same tactic—add on chains of lactic acid and load it into the nanocarrier. “But the first trial that we had was not stable at all,” says Tam, now a senior scientist at Merck in San Francisco. To increase the drug’s stability, he turned to 30-year-old work out of Japan. In the 1980s, researchers at Kyoto University combined chains of lactic acid that were identical except for one key feature—their handedness. Many molecules come in mirror-image forms of themselves, and when the Japanese researchers combined left- and right-handed versions of lactic acid polymers, the resulting crystals, called stereocomplexes, were much more stable. When Tam produced gemcitabine-linked stereocomplexes of lactic acid and loaded them into the nanocarrier, the drug’s stability spiked. Compared to gemcitabine attached only to the left-handed form of lactic acid, the stereocomplex released gemcitabine 15 times more slowly in an artificial solution. Since gemcitabine breaks down so quickly in the body, it’s usually given at high doses to make sure enough reaches the tumor. If this nanocarrier system slowed release in the body, it could mean gentler doses. Professor Glen Kwon, of the School’s Pharmaceutical Sciences Division. Curiously, the nanoparticles adopted an unexpected shape. While similar nanocarriers envelop drugs in a sphere, images taken at the atomic scale show the gemcitabine stereocomplexes adopting a stretched-out, cylindrical shape. You could stack 10,000 of these cylinders end-on-end within the thickness of a piece of paper. In mice harboring a human-derived non-small-cell lung cancer line, treatment with the stereocomplexed nanocarriers over three weeks kept the tumors from growing. In contrast, the tumors more than doubled in size in the mice treated with standard gemcitabine. The mice were treated at a fairly low dose to assess differences between the forms of gemcitabine. “Ultimately our goal is to get this into human beings,” says Kwon, adding that many steps, such as scaling up production and preliminary safety studies, will be required. 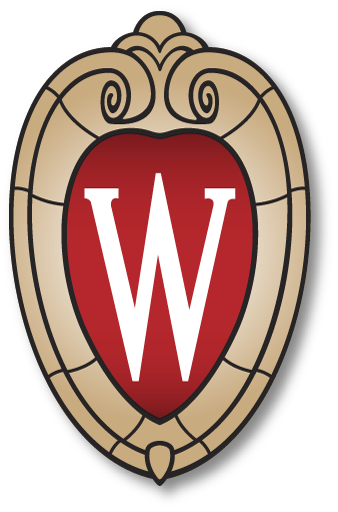 With the Wisconsin Alumni Research Foundation, Kwon and Tam submitted a patent based on their modifications to gemcitabine that enhanced its stability and release. And Kwon co-founded Co-D Therapeutics, a preclinical stage company developing nanocarrier-based medicines based on his earlier work with paclitaxel. “This research relied on really good teamwork in the School of Pharmacy community,” says Tam, noting that members of two other labs in the school contributed to the ACS Nano paper. This work was supported in part by the National Institutes of Health (grant R01AI01157) and the National Science Foundation (award CHE-9974839). Learn more about the evolution of Dr. Kwon’s research into Co-D Therapeutics, and the ongoing research in the Kwon Lab.